Bread for the World is a non-partisan, Christian citizens' movement in the United States trying to end hunger. 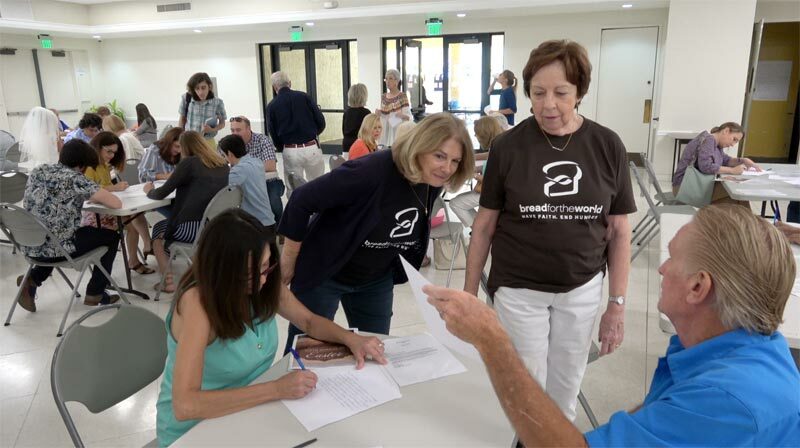 Each year, Bread for the World invites churches to take up a nationwide Offering of Letters to Congress on an issue that is important to hungry people. This year, the main issue is the farm bill. Bread for the World believes the final legislation must include the following provisions: authorize local and regional procurement; improve food aid quality and measure nutrition outcomes; allow flexibility in resource allocation; end the monetization requirement; allocate resources according to global needs; and reduce the impact of agricultural preference on food aid programs. Bread for the World has mobilized individuals, churches and other organizations to advocate for programs that have helped to reduce hunger both domestically and internationally. Their goal is to eliminate hunger by 2030. You can find out more at www.bread.org.